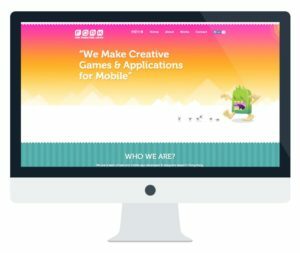 We aren’t so proud or arrogant to think we’re the only firm in Hong Kong that can produce great web design work. 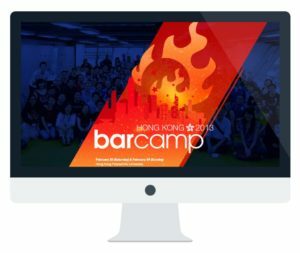 Here are 10 of our favorite samples of great web design for Hong Kong companies that we found during 2013, presented in no particular order. 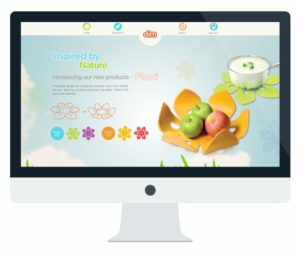 If you know of a Hong Kong business with a website you think is amazingly well designed, please post it in the comments so we can start building our list for 2014. 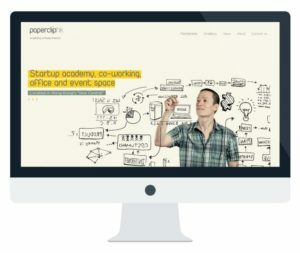 Paperclip is a co-working space in Sheung Wan. The website looks great, is responsive and therefore mobile friendly, has active social media elements, and nice custom illustrations. I especially like the photos because they show of the space, which is quite simply the best looking space of any co-work space in Hong Kong. Seriously, go check it out in person and you’ll see what I mean. No disrespect to others like Wynd and CoCoon that are also unique, but Paperclip’s interior design and extensive use of wood is simply on another level. I like it when someone makes it easy for me to know what they do. The folks at Foak do that with a nice, big opening statement right there in the middle of a big graphic–“We make creative games and applications for mobile.” I also like it when there are bold, bright graphics, subtly animated, and what I’m guessing is a mobile phone but could be a large green walking popsicle without a stick, but with sharp, pointy teeth and a purple tongue, bent on devouring some small dots. I have no idea what that’s all about, but I like it. But they should get rid of the ugly Captcha box down at the bottom by the contact form. Embrace spam. It’s not what you think. It’s not about camping out at a bar. It’s not a festival for alcoholics. It’s a bunch of self-declared geeks getting together to talk about topics like open source, user experience, coworking, mobile development, and big data. Sound fun? Well, 400-500 Hong Kong computer types think so, and 10 years from now you’ll probably be working for one of them. But enough about the event, let’s talk about their 2013 website. Bright, bold colors, great photography, nice graphics, and yes, an elegant responsive design. And don’t worry, these folks want to set Hong Kong on fire in a good way. Before I moved to Hong Kong, my wife and I spent a lot of time on real estate websites looking for the right place to live. We were frustrated by a confusing user experience, small photos, blurry photos, photos of things we didn’t care about, no photos, no video, and no detail. 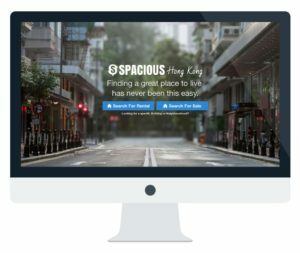 Spacious is a Hong Kong startup that’s changing all that, and they have a nice website to prove it. There’s a nice, big photo on the homepage, and that already tells me I’m in for a different experience. The site isn’t responsive, but I’m sure they’ll fix that soon (hint, hint). 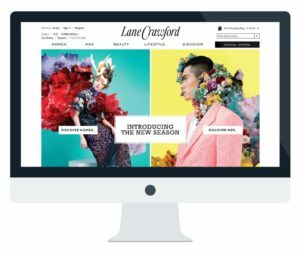 The marketing folks at Lane Crawford tell me they’re going to help me discover my own world of style. Well, they have, and it is most certainly bright pink, floral print men’s suit coats. I guess I don’t really understand much of what passes for fashion these days, or who would pay $3,300 HKD (over $400 USD) for a camo print t-shirt, but I know good design when I see it, and suits with flowers exploding from the collar notwithstanding, the Lane Crawford site is a pleasure to behold. It’s not taking advantage of responsive design just yet, but it still looks great. In case you’re not noticing the pattern yet, I like websites with big photos. 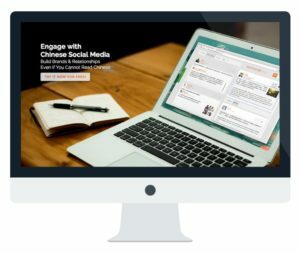 But first, Surround App is an app that allows you, an English speaker, to engage Chinese speaking users on Weibo, which is China’s equivalent of Twitter, only more so. Don’t ask me how it works or how they do it, because I only just barely installed it on my Galaxy and haven’t had a chance to try it out. They have it for the iPhone as well. But what I like about the website is the great photography, the parallax scroll, and just overall appealing design. I’ve never eaten at The Pawn, but if the food is as good as the web design, I’m tempted. Located in Wan Chai, The Pawn serves dishes like “Pan-fried seabass, mashed potato, seasonal vegetables, with lemon butter sauce.” Sounds good enough to me. The Pawn website makes use of amazing photography (how did they get that photo of a Hong Kong street with no cars or people on it? ), custom illustrations, and unique navigation. Not responsive, but good looking stuff, nonetheless. I don’t know the first thing about makeup, and anyone who says I do is a filthy liar. I also don’t know anything about Sasa, except that I know I’ve seen the logo around Hong Kong quite a bit. I think they have shops. But again, not the type of place I frequent. Any photos of me doing so are fabrications. 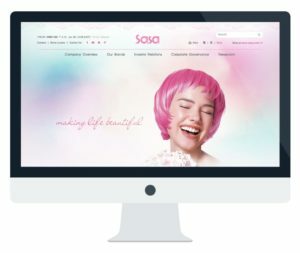 Now the thing is, I’m not a huge fan of the Sasa.com website, which serves their consumers. The website I’m a fan of is their corporate site. I love the colors, imagery, and design elements. Everything is consistent and fits just right for the type of company Sasa is. This is a beautiful example of responsive design where you wouldn’t necessarily expect it. Check it out on your phone or shrink your browser width-wise and you’ll see what I mean. One small and simple but unique aspect is the blending of their Twitter stream in a way that doesn’t ruin the design and elegance of the site. 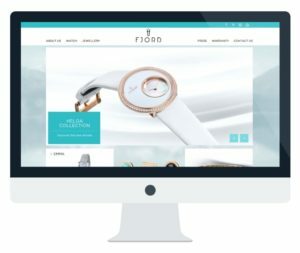 Beautiful colors and photography, user friendly navigation, and great product pages with plenty of big photos to keep me happy. It almost makes me want to start wearing a watch. Dim makes unique consumer products by covering stainless steel with silicone to create heat resistant trivets that can bend into a fruit bowl, “flexi-trees” that have branches for holding your knick-knacks, and leaves that can be bent to make small dishes for holding your keys or…whatever. Good design has gone into the products, which lend themselves to become part of a pattern on the website that establishes the brand of Dim. The site is definitely not SEO friendly in that all the content is contained on a single page, but it looks great. 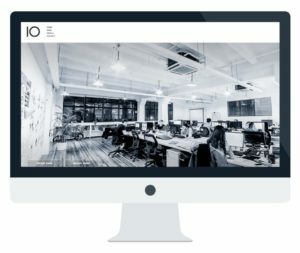 An architecture/design firm and then some, 10, which apparently got the name after being founded in 2010, also knows how to get the right kind of website to showcase their services. They design big buildings, and there’s no way to show that off better than with big photos, which is pretty much 95% of the website. If the entire world were designed by 10, it would be a beautiful place. But if you can’t enjoy their projects in person, you can get pretty close by checking out the website. So what did I miss? 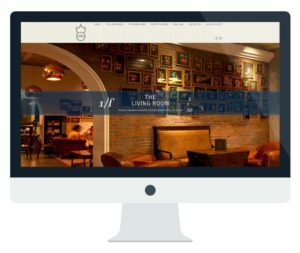 Are there great examples of web design in Hong Kong that you are outraged I left out? Post comments and links below.